Happy New Year 2017! I have a great bit of artsy conversation to share with y’all, so let’s get this new year party started! Hi Henry! I always say that my writings might not make a living but it makes a life and I definitely know that the coins help sustain my efforts. Who were some earlier inspirations that led you to believe that you could actually make a living from your art? I love that part about it “…makes a life…” I’ll have used that whole statement. When I think back to inspirations my grandmother, Jessie Overton, is there. There were others but she was the most influential. She was the first artist I knew and loved. Her thing was portraits and painted mainly on commission. Paintings of family members which she did hung in her house. So, her home was I guess the first gallery experience for me too. Her studio space was in her living room in a corner with just enough room for her tripod easel. My job was to hold her stinky oil paints. I watched the colors flow as she painted. I was always amazed how slowly and steady she could paint. I used to beg her to let me try. Once she did; I thought I was doing something but she screamed, “No, no, no! You’re not making mash potatoes!” I was smashing her beautiful sable brush fibers against the canvas surface. She held my hand and showed me how to simply let the brush glide along the surface. She always had music playing too and tell me to listen to the music and float the brush and glide. As we painted together she’d squeeze my hand tighter if I was starting to smash those potatoes! If I was doing it correctly, her grip was gentle. I think of her when I look at brushes or shake someone’s hand firmly. 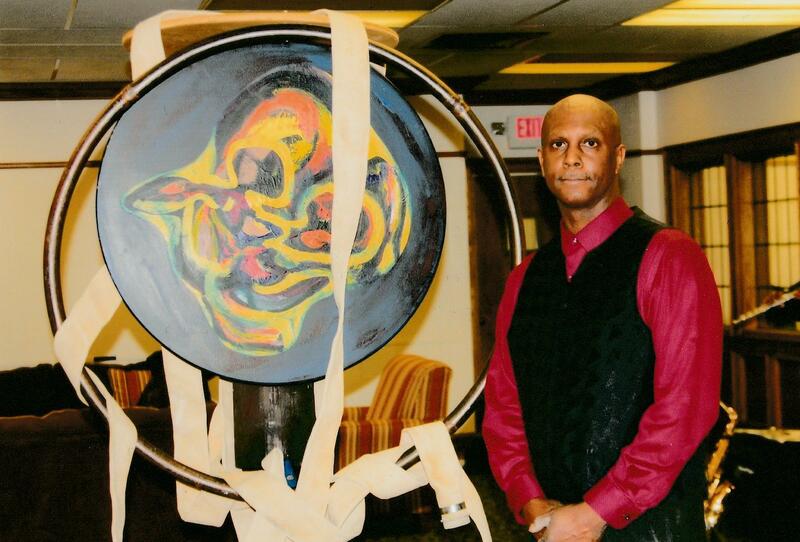 Other artists came later when I attended Fisk University. This campus is covered with history. As students we were encouraged to get the “Fisk Experience,” which during my freshman year I was clueless. I was told to go to college to get an education and a degree. What was this Fisk experience stuff? It was about connecting with the university’s rich past. I saw and enjoyed so much art by Black artists both dead and alive. On campus I met and spoke with artists such as Earl Hooks, Greg Ridley, LiFran Fort, and Jerry Waters (a new, young artist and professor). They were dynamic force of the art department. Now, I wasn’t an art major. My major was biology. I was never far from anything art because I drew the structures, animals, tissues, etc. to test myself. I drew to learn. Fisk is a small, private university so I could speak with these artists almost daily. The exhibitions of their work really influenced me. Then, I concluded to be an artist you must be a professor to reach and create art to exhibit. Later, after graduate school, I moved to Chicago and met other artists and gallery owners. My two main mentors in the city were Greg Spears (an artist) and Susan Woodson (a WPA scholar). Mrs. Woodson purchased my first painting in Chicago and took me under her wing. Greg taught me about marketing. He painted tirelessly and sold many prints at festivals. In his home he had one room filled with stacks of prints! There were other people of course, but these two people saw something in me and really encouraged me to keep painting. Mrs. Woodson opened a gallery, Susan Woodson Gallery, and told me to bring some art to it. She carried prints and originals of artists I learned about at Fisk. Then, Susan introduced me to the Chicago Fisk Club which was full of art lovers. You can’t make it as an artist without a supportive community. It’s important to find a “tribe” which connects and helps you. I believe it’s actually part of your identity. What’s a typical artist work day like for you? I always start with coffee. This is a must, very essential. My head is always full of ideas. I realized years ago, I can’t realistically do everything. You can’t get anything done by stopping and going here and there. A little here and there adds up to a big nothing! The key, which is what my grandmother taught me while she painted, was to focus. I struggle with this but am better. A lot. My typical day consists of looking for future places to exhibit, following up on interviews of people interested in exhibiting some of my work, surfing social media (a new community to connect with people), painting and organizing. I don’t have set hours because I have a family. I usually work long tiring hours. When they sleep I can paint. I do have deadlines to keep to get art done for people, so I keep a Things to do List to try to stay on track. I feel more like a juggler than an artist. To answer your question moreso, it’s really hard to have a typical day. It doesn’t fit in the whole thing about being creative. But you must CREATE so not to feel discouraged. Your things to do list is spot on. Plan on doing that for 2017. We met during the early days of Poets United in Chicago. What were some of the takeaways from being part of the group? Love. Love for other members and dedication. We were writers and still writing. It’s important to reach out to each other for support, ideas, and feedback. I don’t keep in contact with many members like when I lived in Chicago. Strangely, it is possible with video chat, emails, texts, and other ways. Yet, the Internet can’t do this. If you got a series of rejections and went to a meeting and shared that news, a friend would just come over and give you a long, tight hug. That person understood. How can you do that with electronic means? You can’t. I miss those moments of encouragement the most. Just sitting near another poet as you hear a fellow poet share a new piece. Again. Priceless. This feeds back to finding the tribe and place. With Poets United we were truly united on so many levels. What words of wisdom do you have for newbies and late bloomers in the literary and visual art world who want to make a career in doing what they love, but are afraid to venture out there? Stop talking about doing something. Stop worrying about and doubting things. Push away the negative thoughts AND people .Find a way to work. I remember when I didn’t have a book published. I hosted open-mic poetry at Jazz and Java Coffee Shop in the early 90’s. There was a poet who came in to recite and tell us about his book. He had a chapbook which he made. He used an old type writer which he bought from a Goodwill for $5! The old kind with the ink ribbon. Page after page he made his book. His poems were beautiful. He didn’t have a computer but put it in his mind to get his words out there. The cover was simple but he did it. He inspired me to get my first self-published chapbook done, Tell Me No Lies. I had no excuse to not have my book done. I had more technology and resources but this guy was doing more. So, to any newbie, use what you have to do what you can. You will grow. I used to paint on an old wooden chair I found in the alley outside my apartment in Chicago. I fixed and glued the broken leg and used a stick to rest my canvas against the back of the chair. That was my easel. I painted on that chair or the floor. But I worked. Many talk themselves out of even trying out of fear. Imagined fear. We all can do something if we simply try. We will hustle and bust our butts for a 9-5 and that company’s goals but, when it comes to our own dreams, we can’t find the zeal. Why not? It’s faith. We must believe in ourselves and our dreams. This is where keeping out that negativity out of your mind and soul. Believe. There will stop be doubt but keep moving keep trying because you believe this is what your purpose is on this planet. Paying bills or making debt isn’t a purpose. Create and make the world better is what I’d tell them. Beautiful! I agree. Can people be okay with viewing their passion as just a hobby? What’s that about? Is it the fear of stepping outside of their comfort zones? What I’ve noticed and experienced aside from what you said about fear is that people don’t want to call themselves a professional because of responsibility. If you do anything as a hobby, you can do it whenever. You don’t have to be serious. You don’t have to be concerned with money issues and other things associated with being a professional. When you consider and call yourself a professional this means two things: 1) You’re paid for what you do and 2) you maintain a certain amount of professionalism. I’ve met artists who are afraid to pursue art as a profession because they believe they may fail. In our capitalistic world, if you have a business and you don’t make money, it’s concluded that you’re a failure. The business of arts and the business of widgets are di$erent. We don’t operate in the same arena. Artists can fail or feel like a failure equating themselves to non-art business owners. which I answered and listened to to do. I keep working. And working to create the best I know how and learn. I don’t smash any more! Too much, Henry! Congrats on your latest award. Tell us more about the GANSPA. 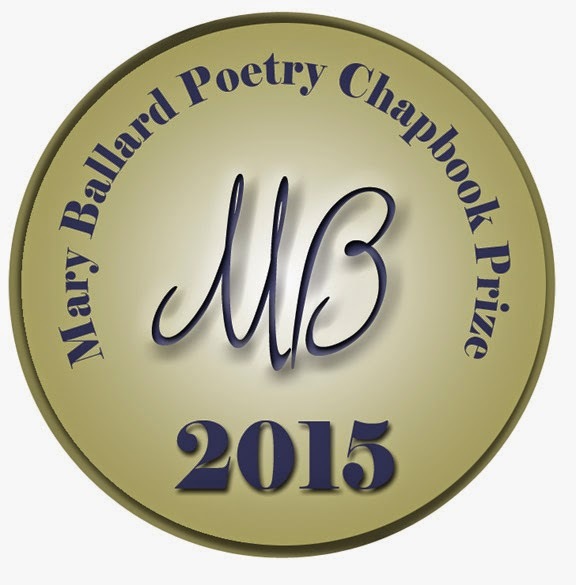 The GANSPA (Gifted and NeoSoul & Poetry Award) is the ideal of Renata Brown. 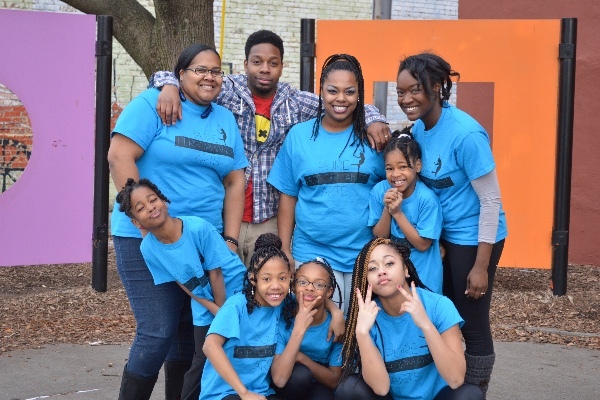 The organization’s mission is to support artists year round through its education and mentoring programs as well as spotlight excellence through the Annual Awards Ceremonies. It serves as a fundraiser for Sick Cell Anemia research and education as well. I felt very honored to win. My family and I were able to go to Atlanta for the awards ceremony. I couldn’t go to that event alone. My wife and children are an extension of my creativity. They’ve helped me in many, many ways. I knew I was receiving the state award but then they announced the national GANSPA Awards for my category. I was stunned. My wife said, “They called your name.” I remember looking around for Henry Jones. It was like a dream. At the ceremony I met other artists and learned what they’re doing. I love meeting other artists because I feel less alone. It’s lonely being an artist of any kind. You strive to connect to the internal, overwhelming feeling of human disconnection. The GANSPA award symbolizes appreciation for the work you do. Few people know the about of work necessary to create art. So much goes against you. They see the final creation. It’s not easy. But that award says to me, “Thank you for the work you do.” This is encouraging because you constantly push away and battle the demon of doubt. Thanks for humoring my interview intrusion Henry. I wish you much continued success! Thank you Clara. I enjoyed this interview. Hope this talk with Henry Jones got your creative juices flowing. What a great year of opportunity we have to create to the best of who we are! So, today, I’m updating my loyal readers and followers on a few things happening in my neck of the writing woods, with a brief run-through of some of my freelancer hits and misses, along with a big ole congratulatory mention to a well deserving poet and visual artist. Not! The three finalists have been selected and yours truly is not on the list. Bummer! But, because I love to eat my share of delicious foods instead of demonstrating my culinary skills or lack thereof, I’ve gladly moved on. It’s always a good thing when we release and let go, because something great hangs in the balance. I will be sharing my thoughts on traditional book publishing from my own experience with Unleash Your Pearls, including the ups & downs one might experience after signing on the publisher’s dotted line. I will discuss research findings on the industry, including the length of time it takes from initial contract to actual book release. Patience is truly required and a couple of glasses of spirits can’t hurt much. Anyhew, when those people call my people about my book release, we will have a celebration! I’ve learned not to wallow in feelings of freelance defeat or rejection and to just keep going with other interesting and oftentimes lucrative distractions. 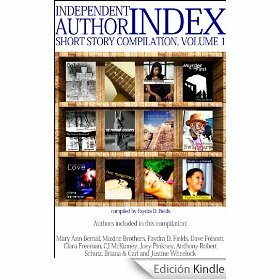 I recently sold my 2nd nonfiction story to the Book of Hope Anthology, scheduled for publication after the holidays. 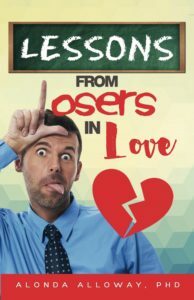 My contributing story appearing in the “Lessons from Losers in Love” Anthology recently went to YouTube. I’m working on my fourth assignment as part of How Writers Write Fiction 2016: Storied Women from Iowa University’s free Writing Workshop. This class is mentally challenging and educationally inspiring. We’re penning new stories to upload every week and so far, the feedback from class participants have been encouraging and useful. My love of learning is evergreen and when I feel the need to advance my writing aspirations, I always do. There are numerous narratives on the informational highway in regards to getting something for ‘free’ and I’m of the opinion that one should always be a cautionary ‘buyer’. When it comes to free learning modules, however, in the form of free classes in writing, website design or advanced YouTube tutorials in your field of expertise, I’ve found them to be quite beneficial, and in some ways an advantage over many fee based online workshops. For example, free classes offered by college institutions oftentimes differ from online writing workshops that cost, in that these curriculum based classes are taught by esteemed professors of writing, with several book fellows and awards under their belts and do not in any way, fashion or form, diminish from a freelance writer’s creative abilities – they can, in fact, impact ones’ productivity and profit-making capabilities. I’ve taken my share of online fee based and free classes since 2010. Before the internet surge, I thought nothing of hopping a train in real-time, to attend fee based writing classes at Harold Washington Colleges. So, my advice, when in doubt, is to go for your gusto the way it works for you and don’t be swayed by negative hype. If you haven’t done it, then you can’t speak on it. And that’s all I’m going to say about that. A big ole congratulations going out to Henry Jones; Poet, Artist, Entrepreneur and friend out there in Nashville whom I hold in high regard. Mr. Jones just won the National Gifted Artist Neo Soul & Poetry Artist(GANSPA) Award! Congrats to you, Mr. Jones! Happy October everyone! I love to watch the seasons change and fall is one of my favorite times of the year, just because Mother Nature brings vibrant colors that are so darn awesome 🙂 This is also the time for freelancers to take stock and do inventory on their accomplishments and yes, failures, in order to make strategic plans to learn more, grow more and implement better. Knowledge is power and I love learning. Registration begins on Oct 11th for Iowa University’s~How Writers Write Fiction 2016: Storied Women. I think these 6-8 week classes are valuable because seasoned writers and newbies get to interact on the class forums, with these alumni professors of writing and teachers who critique your work and offer valuable nuggets to drive your stories to publication. And did I mention that the classes are free?! Participating writers who take the class are provided class discussions before assignments are handed out and get to share with other writers who become this family of creatives from different areas and stages in their careers. I love this class and recommend it to all who want to up their game. Certifications are available to those wanting to showcase their achievements. As you all know, I will be posting at my sites monthly, preferably on Mondays, but I wanted to get this info out because the time to register is fast approaching and for all of you Johnnie-come-latelys, you can opt to register later, but who wants to be late for an exciting writing class! freelancers feel more empowered, respected and motivated than ever before. Let’s use that energy to come together and make freelancing better for all. This morning, I’m sharing a special post with you guys. Don’t worry, I will see you all on Friday for our usual conversation. I love when parents recognize and nurture the creativity in their children. This video was sent to me by artist and poet, Henry Jones. His daughter is expressing her love for math from a school homework assignment. Thanks for sharing Henry! Know any girl mathematicians? Child geniuses? Are you nurturing the creativity in your child? Feel free to share. Today, I’m sowing seeds for children who have a passion for the arts! My girls did a fan-fantastical job in their recent solo and group performances this past month. They love to dance, but competing and performing doesn’t come cheap! I’m supporting the go-fund me fundraising campaign for Pure Performance Arts (P.P.A.) in Michigan. Won’t you join me in helping these children accomplish their dreams? Let’s also send condolences and prayers to Ms. Robbie & her family (Welcome To Sweetie Pies) for the loss of her grandson, Andre. “The writer must believe that what he is doing is the most important thing in the world. And he must hold to this illusion even when he knows it is not true.” – John Steinbeck. I want to dedicate this post to all women, irregardless of whether they’ve been written up in the pages of history books. Women, by their mere existence, create history that is unforeseen and untold every single day that they live and breathe~ so for all women, let me say, Happy Women’s History Month! 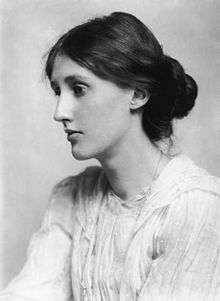 The novelist, Virginia Woolf wrote in her famous essay, A Room of One’s Own, “A woman must have money and a room of her own if she is to write fiction.” Viewed in a broader sense, the essay could reference any author’s need for poetic license and the personal liberty to create their art. The artists I’ve chosen to honor for Women’s History Month, in essence, created from a room of their own. The “room” for the most part were of their own choosing, but sadly, one young girl had no say in the literal sense. Nonetheless, these women (and many more) craved out an impressive body of creative works that became a historical legacy. 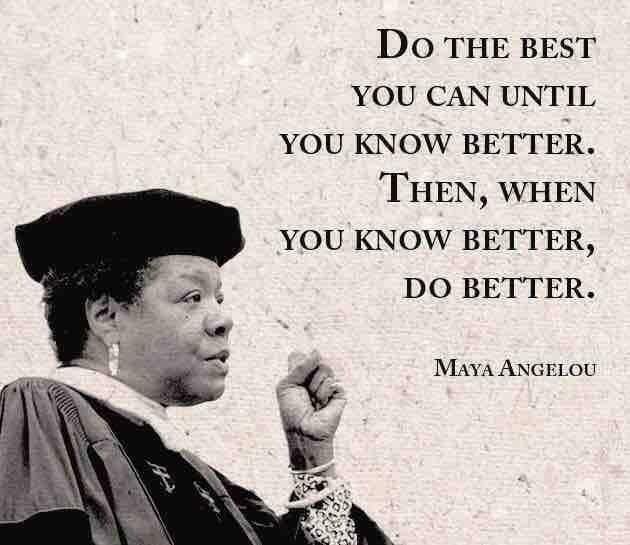 Maya Angelou had me at I Know Why The Caged Bird Sings. She was brutally raped as a little girl and only shared this secret with her brother, Bailey. When her uncles found out, the molester was killed. Maya did not speak for 5 years, blaming herself for the molester’s murder. A 13-year-old Jewish victim of the Holocaust… Anne Frank went into hiding from the Germans with her family and another family for two years in a small annex above the office where her father once worked. It’s reported that Anne, her mom and sister died in the concentration camps and only her father would survive to publish her diary, written while in hiding. 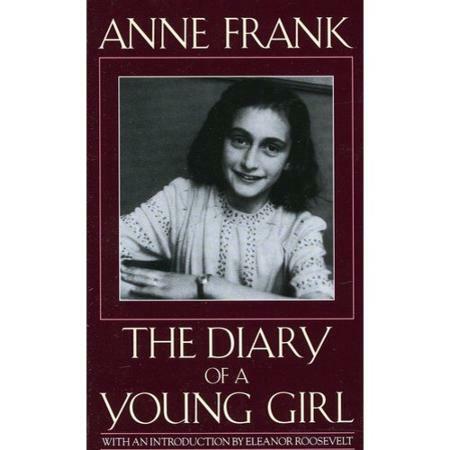 Anne wrote in her diary that she wished her writings to live on in life. How prophetic her words were. 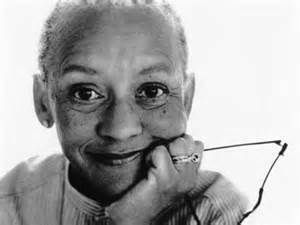 Nikki Giovanni has often been called a “Revolutionary” poet. All I know is her writing are often based on fact and it is those poems that touches the sensibilities of a nation of readers, including myself. A prolific writer, activist and highly guarded educator, Ms. Giovanni is currently a University Distinguished Professor at Virginia Tech. 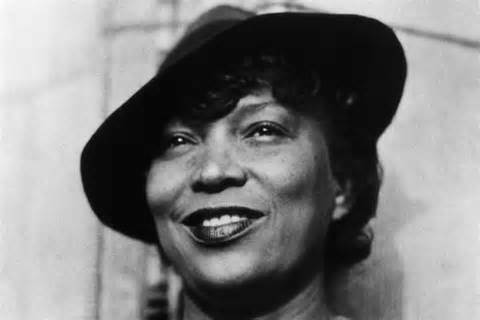 My very favorite of her many works includes: Those Who Ride The Night Winds, poems about the mass murders of young black boys in Atlanta totaling more than 29 young children killed. Ms. Giovanni poems, in my opinion, are a loving eulogy to the memory of those children. If you haven’t read any of Nikki Giovanni’s work, you are missing out on one of our greatest literary contributors. 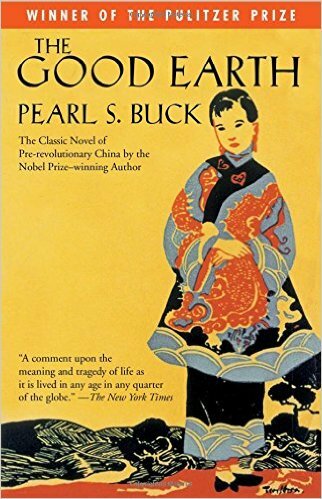 I read Pearl S. Buck’s, The Good Earth in High School. The book introduced me to another culture and people with a different way of living. Although American, Ms. Buck lived in China for a while and associated with Chinese culture and tradition. I was impressed by the humanity of The Good Earth as it relates to a country’s change affecting regular people. 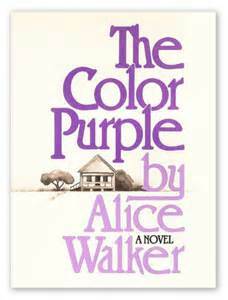 Ms. Buck died in 1973, but her Pulitzer prize novel lives on. Ms. Hansberry’s play would later inspire Nina Simone’s song, “To Be Young, Gifted and Black!” You know what they say, “The Play’s The Thing.” Lorraine Hansberry was the “ish” and sadly, gone too soon… The playwright died of pancreatic cancer in 1965. Sheer Brilliance! Toni Morrison’s-The Bluest Eye,Tar Baby, Song of Solomon, Beloved and Sula. I hope you’ve enjoyed this post. I know that the works of these and other women history making artists are sitting on your bookshelf, vying for a little Women History Month love shout… Please share a few of your fave with us. Happy Friday, peeps! And I mean that in the most loving way:) So, I feel like I’m having this weird, mystical, amazing season in my life where all the stars are aligned and my cup runneth over with meaningful connections. One such connection is Kathy Meis, who is founder and CEO of Bublish, the world’s first complete publishing solution with integrated brand-building and discoverability features. Kathy is the “ish” in the book publishing/marketing and promotion arena. Today, Kathy shares five simple steps to help craft an effective author brand. Did you know that readers are fifteen times more likely to purchase a book from an author whose name they recognize? In a sea of content, readers flock to what they know. That’s why it has never been more important for writers to build an author brand. What is an author brand? It is simply your promise to readers. Authors are often uncomfortable with the idea of creating a brand around their writing. Yet, by being part of the social conversation, most are creating some type of brand whether they’re aware of it or not. Unfortunately, if they’re constantly asking readers to “buy their books” on social media, the brand they’re creating is that of a salesperson. Why not be more deliberate about the process and create an author brand that speaks to your audience and allows you to present yourself to the world as the talented creative writer that you are? In today’s crowded book marketplace, taking the time to craft an effective author brand will lead to a more engaged audience and ultimately more book sales. 1. Discover your brand. Explore and define your life-long aspirations, passions and goals as an author. When you start in a place of honesty, you will build a brand that is genuine and resonates with readers. Think of this part of the process like writing a mission statement for your writing career. 2. Ask hard questions. What makes your work compelling? What differentiates you and your writing in today’s book marketplace? How do readers perceive you and your work? Is that perception aligned with the perception you desire? Do the books you create and the way you market them help you cultivate your author brand and achieve your goals? How do you add value to your community of fans? This step needs to be interactive. Ask your readers for feedback. Figure out how your current readers see you. Then, decide if their feedback is aligned with the brand you want to build. If it is…awesome, the next steps are easier. If it is not, it’s time to stop and figure out why. 3. Create a plan. Map out a clear, long-term road map to help you reach your goals. This should include the types of books you will write (not necessarily just genre, specific qualities are important too), when you will release them, the way you will share them with the world, and the types of actions you will take on a regular basis to demonstrate the qualities and values for which you wish to be known. This step is all about creating a voice for your author brand. It’s about articulating what you’ve learned through steps 1 and 2. You’ve gathered information, now you need to put into a plan. One part of that plan is a road map for your career. The second part of that plan is a promotional content strategy that let’s the world know about your author brand. 4. Choose your platforms. Now that you’ve discovered and articulated your brand, it’s time to figure out the best places to communicate your brand’s message. Research social and real-world communication channels that target your audience. For example, if you write business books, you need to spend time in targeted LinkedIn group. If you write genre fiction, Facebook, Twitter and Pinterest are great places to explore. If you write young adult, you need to find a way to reach your audience on Instagram and YouTube. Execute your content plan, which you developed in Step 3, across the platforms that your audience uses. By the way, Bublish can help you share your stories and build your brand on all these platforms, so I hope you’ll check us out. 5. Commit to long-term execution of your plan. Building an effective author brand takes a long time. It requires commitment and consistency. Don’t give up on your road map just because you’re not seeing results quickly. In fact, let’s be clear, you will NOT see results quickly. However, if you craft a solid plan and commit to it, you will achieve your goals as an author. I wish you the best of luck on the journey. Enjoy it. Embrace it. Being an author is hard work, but it’s an amazing gift. Kathy Meis is the founder and CEO of Bublish, the world’s first complete publishing solution with integrated brand-building and discoverability features. With more than 25 years of experience in the media and publishing industries, she has served in a wide variety of editorial and management positions at some of the industry’s leading media companies, including CBS and Forbes, Inc. She is a founding partner of PubSmart, a publishing conference in Charleston, South Carolina, as well as a professional writer, editor, and ghostwriter. Kathy speaks and blogs regularly on the subject of book promotion, author branding, social marketing, and discoverability. She has appeared at many conferences, including Book Expo America, Women in Media, GrubSteet, PubSmart, and IndieRecon. Awesome tips, Kathy! Thank you. Are you focused on building your author’s brand? What tip/s from Kathy will you incorporate into your brand building? 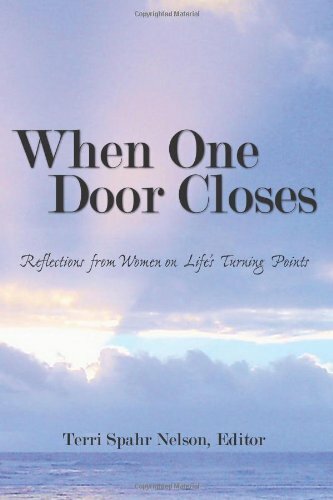 Release Of New Empowerment Book For Women And Job Opportunities!